Read what our sport flooring customers say about Total Sport Solutions. 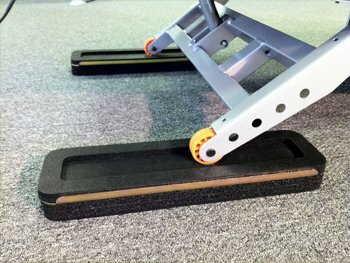 "I have had time to evaluate the treadmill isolation mounts in our police headquarters workout room and I am very happy with their performance. I would like to order another set." "The Boards look great! I’m sure that the students will be very happy with them. The guys did a very good job with the installation I just wanted to say thank you very much to yourself and to the installers." 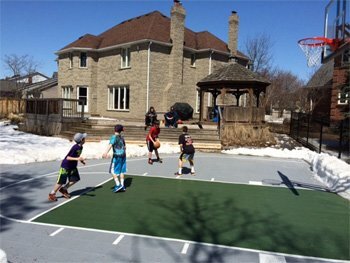 "Court is looking great and the kids couldn't wait to get on it this spring. We shoveled it off on Sunday and they were out there for 6 hours playing on it with their friends. Thank you." "Our service club was doing a project to refurbish an old tennis court and reached out to several companies that sold sport tiles. Total Sport Solutions was the company we selected due to their patience and attention to detail when selling their product. Never once did we feel pressured from TSS in making the decision with using their product. Countless color schemes and court lining layouts were requested and they were always happy to oblige. The crew that came to install the Duracourt were very quick yet professional. 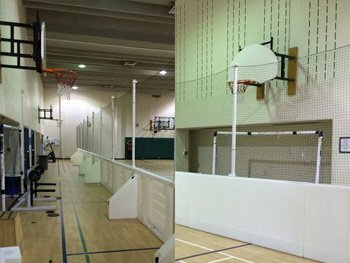 Our biggest problem was been keeping the kids away until the installation crew was finished! The colours are vibrant and we had a custom logo added to the center of the basketball court. We are extremely happy we choose TSS for our project." "The whole process from designing the court to its installation was a breeze. The team at Total Sport Solutions was courteous, professional and responsive. 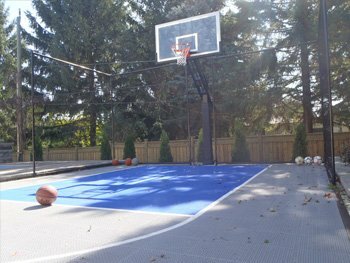 The court looks fantastic and has already proven to be a great investment. 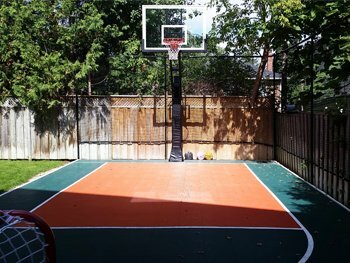 I could not be more pleased with our decision to have a basketball court installed." "We are extremely satisfied with the court and wanted to thank you again for your professionalism and responsiveness." "I just wanted to say thank you for everything and for being so accommodating. 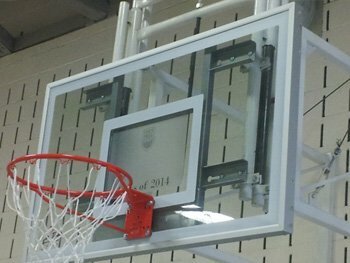 Backboards look great. It was a pleasure working with you. " "I would like to take this opportunity to thank you for all your assistance and the great customer service. Customer Service goes along way with me and you demonstrated throughout service excellence. I also wanted to tell you that the 4 people that saw the flooring absolutely loved the flooring; it is perfect for people not just for fitness purposes but those with small children/day care in door play areas that need safe durable flooring."